Evaluating College As An Investment: What’s Its ROI? No matter how you look at it, college is an investment of both time and money. 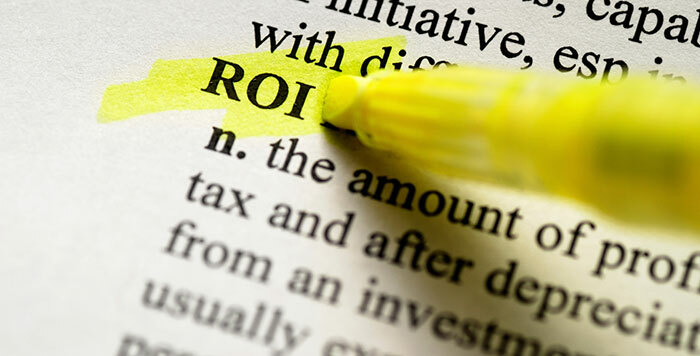 So as tuition costs and outstanding student loan balances have increased, it’s not surprising that attention has shifted to evaluate the Return On Investment of a college education – in fact, it’s become so common that you’ll often just see the acronym, ROI. You can’t visit a college campus these days without hearing conversations about internship opportunities, career building resources, and successful alumni. Colleges want you to know that their ROI is strong! While I fully recognize that having good job opportunities after college is important, my problem with discussions about ROI is that they seem too narrowly focused on that first job after college. What about the value of a college education 5 years out? Or, after 10 years? Or, after 25 years? How does a college education impact one’s lifetime career success and personal fulfillment? If you’re interested in finding information to help answer this question (as you should), your first stop will need to be the 2018-19 PayScale College Report. PayScale’s report ranks colleges and majors based on a 20-year ROI including total four-year costs, graduation rate, and average loan amount. You can also factor in off- or on-campus housing and whether or not to include financial aid. It’s a compelling list – schools with a heavy emphasis on STEM quickly sift to the top. I wouldn’t make decisions based solely on this information, but you and your student should definitely factor it in. Looking at the same question, from a slightly broader perspective is Purdue University. This week, I welcomed a letter from Pam Horne, Associate Vice Provost for Enrollment Management and Dean of Admissions at Purdue University, about their research into just this question. Rather than simply surveying their own alumni, Purdue took a lead role in partnering with Gallup Poll to conduct extensive research with over 30,000 college graduates from a wide range of institutions, asking questions to determine what it is that connects a college education with life-long success. Alumni attachment – strength of the bond to one’s alma mater. The study found that successful alumni share some key undergraduate experiences that are similar regardless of where they went to college – public or private, selective or not (notable exception: for-profit institutions). This is extremely useful information for families considering colleges. What’s most important when it comes to the value of a college education is being at a place where you will have these opportunities, be it a large university or a small college. Amazingly, results of this study are not that different from a college professor’s advice to freshmen. Research helpful guides for families: The first, for 12th graders, is a College Planning Checklist and the second, from Purdue, the Student Guide to Creating a Successful College Experience. Bottom Line: Be analytical and research graduation rates, estimate your total student loan amounts, and review where your schools falls in the ROI report. But also consider the more subtle qualities of how a college can help your student create life-long success. Enroll at a college that supports these experiences and where you will feel comfortable and confident pursuing them. Put all this information together and you’ll have your ROI for a lifetime! Hannah Serota has served as College Counselor at McLean School in Potomac, MD since 2000. She also works as an Independent Educational Consultant, based in Loudoun County, VA. Hannah’s career in college admission began at Oberlin College in Ohio,where she worked as Assistant, then Associate Director of Admissions. Hannah holds a B.A. in Philosophy from Oberlin College and M.Ed in Counseling and Development from George Mason University. She also holds professional membership in IECA, HECA, and NACAC. Over the years she has counseled hundreds of students and families, including many with learning disabilities and ADHD, through the college admission process. Great article. I had a college mentor who was still “mentoring” me for the next 30 years! He had a profound impact on my life, and what I taught my kids about integrity and honesty was due in large part to him. Plus, he helped me with my senior thesis, a project I worked on for almost 2 years. And I graduated with no debt (easy to do 40 years ago). I can relate. This is an article I will show all my future coaching students.